In the hard copy Charge! newsletter, long-time contributor Larry Reber of West Virginia gives some ideas on constructing portable sunken roads for the Civil War gaming table. I had previously made my own sunken roads by carving roads into pieces of foam insulation board from the local Lowe’s hardware superstore. 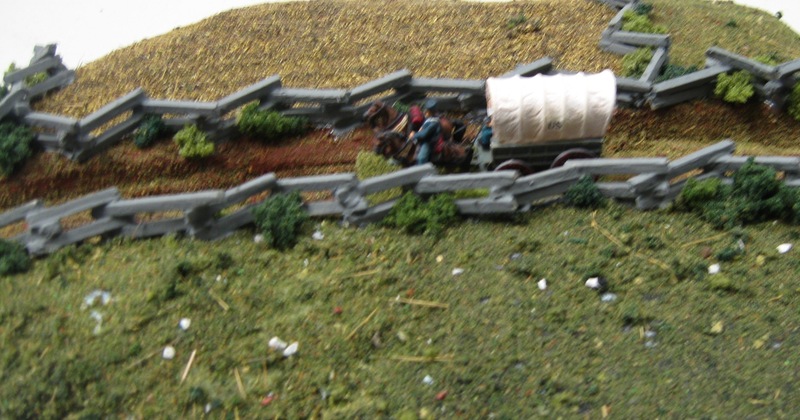 The 15mm wagon shown above was painted by Larry, and shows the depth to which I typically carve my sunken road sections. I string them together for larger scenarios such as Antietam’s Bloody Lane. Larry operates a very nice painting and custom figure conversation business, http://www.gettysburgsoldiers.com, and I have a few hundred of his skillfully painted figures as part of my collection of Civil War gaming figures. 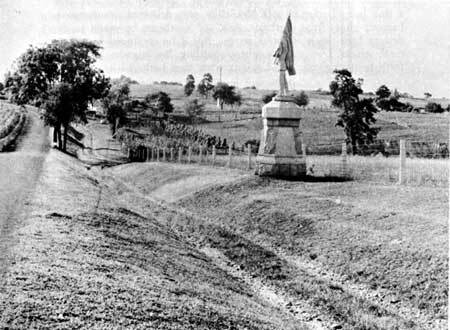 An early photograph of the sunken road on the battlefield of Antietam. Courtesy of the National Park Service. My three great-great-uncles stormed the sunken road during the September 17, 1862, Battle of Antietam. 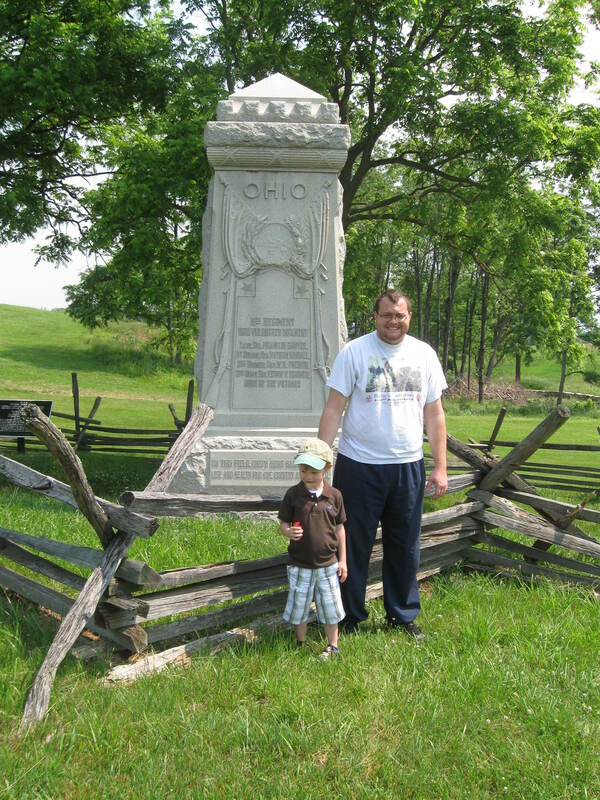 The Chambers boys of Marshall County were in the 7th West Virginia Infantry in Nathan Kimball’s brigade. Shown is one of my sons with one of my grandsons.